In May and July of 2011, some last bits of tribute were paid to the first public radio station in Pittsburgh. Before this is all-too-distant memory, I thought it a good idea to share those awards. 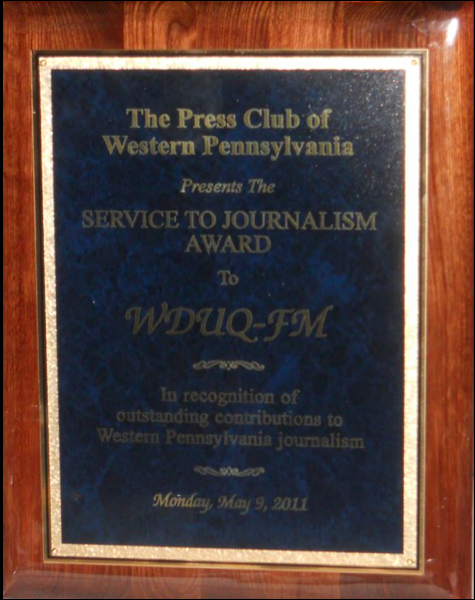 At the Press Association of Western Pennsylvania 2011 Golden Quill Awards, WDUQ received the “Service to Journalism” award. The radio act of 1927 charged broadcasters serve the “public interest, convenience and necessity.” It was the privilege of the staff of WDUQ to serve as the steward for this rare and valuable treasure for the city and the citizens that mean so much to us. 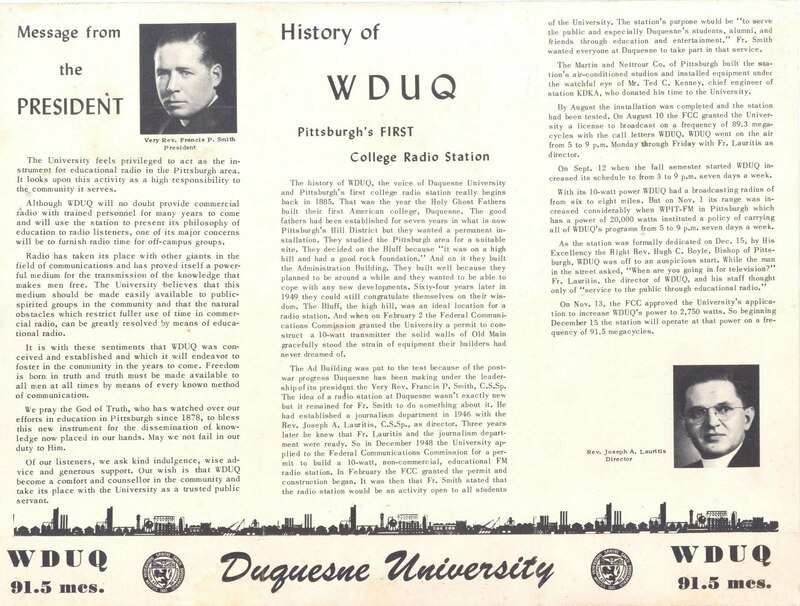 In 1946, Father Joseph Lauritis founded the journalism department at Duquesne, following up a few years later with this FM Radio experiment, at a time when pretty much no one had an FM Radio. December 15, 1949. So began the service to this community of WDUQ-FM. From then until now, there were just a handful of managers (not counting “interim”). Father Lauritis, B. Kendall Crane and Ken Duffy; Judy Jankowski and me. 61 years – that spans the earliest days of public radio, to the founding of the Corporation for Public Broadcasting and NPR. At the time I left WDUQ in 2011 – nearly 200,000 listeners in Pittsburgh, about 30 million NPR listeners, nationwide. Through all of that time, WDUQ continued to not just be a part of the public broadcasting community, but of the community of PITTSBURGH journalists and broadcasters, of citizens and participants in one of the most storied and vibrant media and journalism communities in the nation. Not just aligned with public radio, but with the Pennsylvania Associated Press Broadcasters Association, the Pittsburgh Radio Organization and the Pennsylvania Association of Broadcasters and with scores of community institutions and organizations. Hundreds of students, full-time professionals and volunteers passed through our hallways and on the airwaves. As this honor you bestow on WDUQ tonight pays tribute to the contributions of WDUQ toward journalism, I must make note of our longest-standing employee and stalwart promoter of journalism ethics and civic engagement. WDUQ News Director Kevin Gavin. Kevin has been the guide for our telling of Pittsburgh’s story on public radio since not long after NPR came to be. Starting as a student himself, Kevin has instilled the ethics and inquiry of journalism into the DNA of 90.5FM and into the minds and ideals of WDUQ’s staff, plus of hundreds of students at Duquesne University, many of whom are still active as journalists. Please accept my gratitude for this honor on behalf of Kevin Gavin, Mark Nootbaar, John Boyle, Alexandria Chaklos, Larkin Page-Jacobs, Erika Beras, Bob Studebaker, Tony Mowod, Helen Wigger, Fred Serino, Vicky Rumpf, Mary Lloyd, Bob Addleman, Nancy Wood, Mark Bertolet, Chuck Leavens, Bee Barnett, Mike Plaskett, Mark Yacovone, John Johnson, Shaunna Machosky, Joan Swanson, Sean Dougherty, and so many, many more. 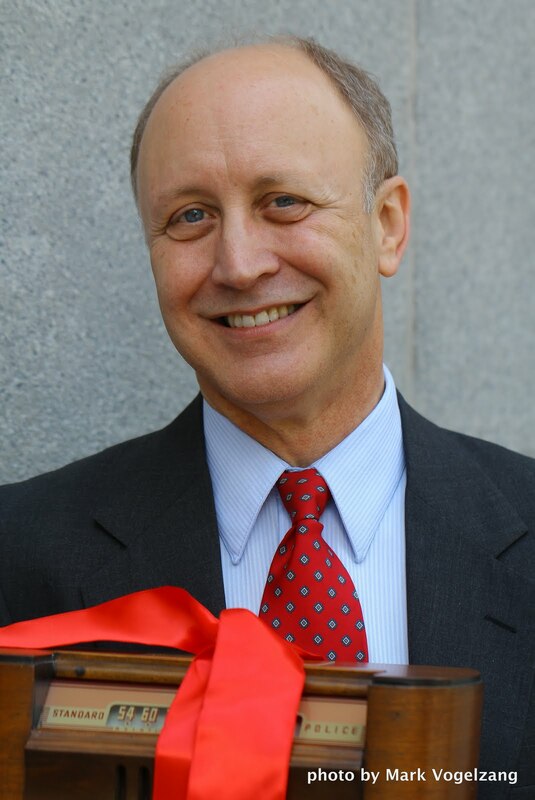 The Public Radio Regional Organization “PRRO” Award, granted to Scott Hanley, July 13, 2011. The PRRO award was a total surprise to me, presented at a national conference for all of public radio which just happened to be held in Pittsburgh this year. The Award was delivered just before the NPR Annual Meeting on July 13, which just happens to be my birthday. As it was a total surprise, I had nothing prepared to say but did share my great appreciation for recognition by my colleagues and peers. Thank you…. Good afternoon, I’m Christina Kuzmych, President of Public Radio in Mid-America, and General Manager of Wyoming Public Radio. I’d like to ask my fellow Regional Presidents to join me in presenting the PRRO Award. Each year the Regional Organizations present the PRRO award. 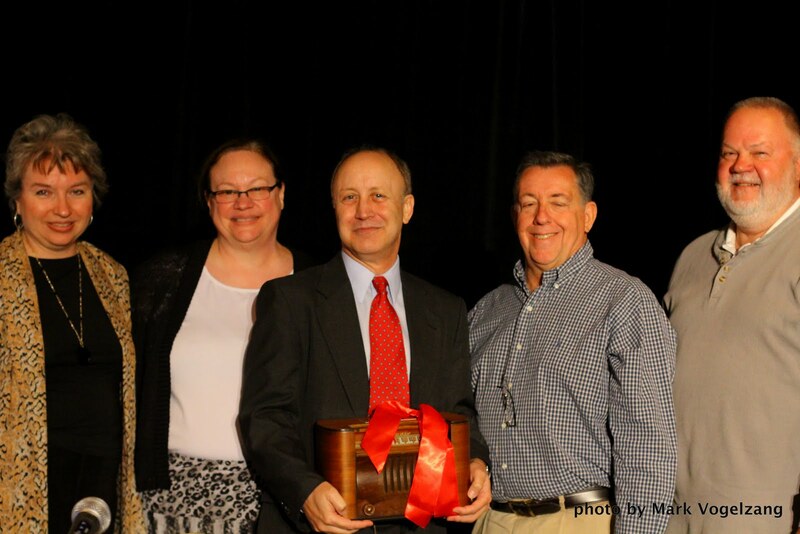 It given to an individual whose work has contributed significantly to the health and growth of Public Radio. This year’s Award is a beautifully restored AM broadcast Bendix radio dating from 1946, with a built- in loop antenna, and sculpted wood cabinet. 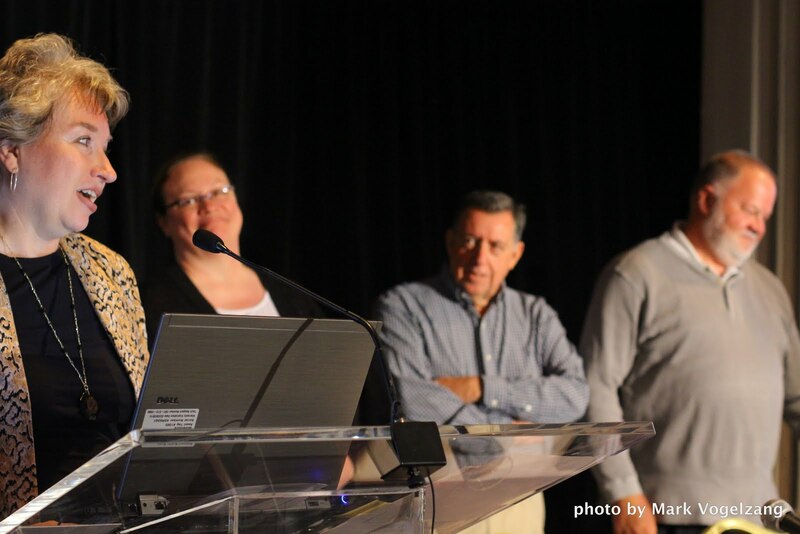 The PRRO award honors the “unsung heroes” of public radio – the ones who often work behind the scenes, who move our industry forward– and who deserve recognition from the system. This year’s recipient can be called a “Renaissance Broadcaster” – an individual who is equally at home in programming, production, engineering, digital technology, fundraising, administration, teaching, governance, and whose work cuts across all radio formats of news, music, and public affairs. Our recipient trained to be a singer, but soon embraced radio and made it into a lifelong journey and passion.Our recipient is an innovator, an instigator, and an implementer. All of us gathered here today have benefited directly from this individual’s work. 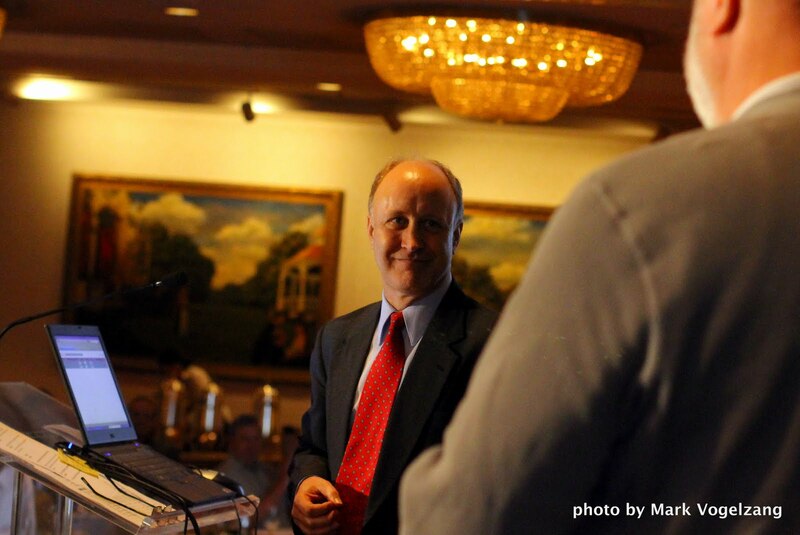 · Served as Chair of the NPR Distribution/Interconnection Committee, and helped launch Content Depot . · Served on the National Radio Systems Committee of the National Association of Broadcasters and the Consumer Electronics Association. 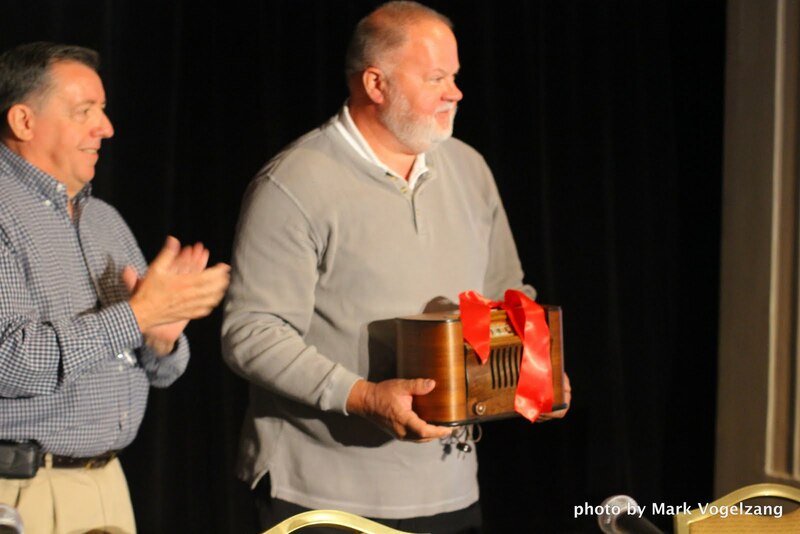 · And, combining singing, radio, and technical experience, our recipient was instrumental in producing the yearly PRC Talent Shows, remembered so fondly by many managers. “It has been remarkable to see us grow from a shy, humble, striving and earnest enterprise into a massively influential media movement. And his name is…Scott Hanley! And there, in a lower level conference room at the William Penn Hotel in downtown Pittsburgh, applause and even the singing of “happy birthday.” It was a moving experience for which I remain humbled and thankful. In 1995, President John Murray and Provost Michael Weber hired me to do a job which I was honored to perform, with people who cared about their craft, their art, their service, their listeners, the public and each other. A community grew around that service that came to trust and believe in WDUQ, even in some controversial and challenging times. Sometimes, you get to do the good and right things because they are good and right things. Sometimes, you have to grow and evolve in times of challenge and change. In leading a fulfilling life, I believe it isn’t just what you do, but how you do it and whom you get to do it with. To receive two marvelous nods of acknowledgement for the legacy of WDUQ this year means the world to me. Musician, journalist, teacher, technologist, consultant & former NPR station manager. A media and entertainment professional, journalist, entrepreneur, technology advocate, educator, student, mentor, manager, and media, musical and theatrical performer. Voice talent and coach for music and spoken word. I also act and sing (mostly jazz, but a lot of experience with choral, classical and musical theater, too). Brass instruments, too, but my AF ofM card lapsed years ago. Heard on the national jazz service, PubJazz, and in the Pittsburgh market on WZUM/Pittsburgh Jazz Channel. I also teach college level courses in media and journalism. I managed the leading NPR/public radio station in Pittsburgh, PA for 16 years, a few years later was GM of the NPR station WBHM in Birmingham, AL. I served for six very busy years on the NPR Board of Directors and have done much volunteer service for national and local organizations in the communities I have been privileged to live and work in. Former NPR Board Member, former President of the Pittsburgh Radio Organization, sometime musician, relentless technology advocate. Opinions expressed are not the viewpoints of any employer or affiliation past or present. This entry was posted in media, NPR, Pittsburgh, Scott Hanley, Uncategorized, WDUQ and tagged CPB, Duquesne, Golden Quill, Hanley, John Murray, Kevin Gavin, Lauritis, NPR, Pittsburgh, WDUQ. Bookmark the permalink.